Ardis Buder was born Ardis Colene Crooks on January 30, 1927 to David Dale and Lucille Nadiene Crooks, educators from Iowa farm families. She lived most of her life in St. Louis County, Missouri. She graduated from Maplewood Richmond Heights High School and her first job was printing war bonds during WWII. 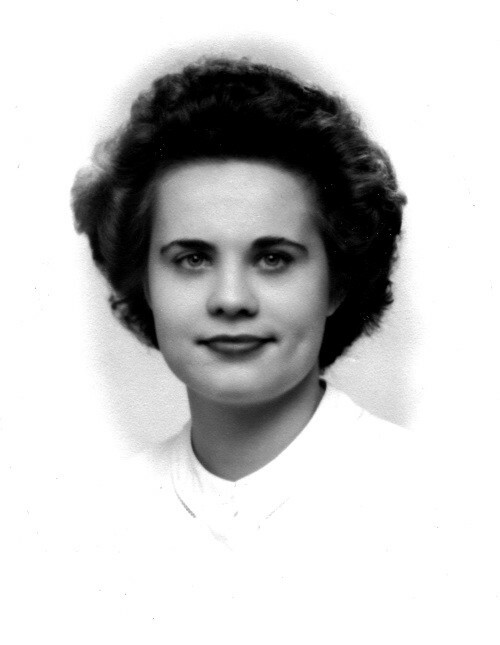 She married Carl G. Buder in 1948 and was a homemaker, mom, and then caregiver for Carl (d. 1981) and her parents. She moved to Austin, TX in 2011 to be closer to her older daughter, Diana. She died November 19, 2018. A petite, beautiful woman, she had an inner strength and will that allowed her to grow into an independent woman through difficult times. She survived breast and colon cancer and outlived her doctor’s expectations despite multiple chronic illnesses. She worked hard to keep a positive attitude and was grateful for the good care she received. She was vivacious, social and loved to have fun. She made and kept friends wherever she went, some friendships lasting more than 80 years. She loved a good cup of coffee, bright colors, fashionable clothes and shoes and made sure she had lipstick on even when going to the doctor the day she died. She was predeceased by her parents, her beloved husband, sister Lynda, aunts Carol and Ruthe, her dear companion Lou Guese and many good friends. She was proud of the family that survives her including daughters Diana Phillips (husband Judge David Phillips) of Austin and Cheryl Markway (husband Bob) of Jefferson City, MO. She was “Grandma A” to Liz Couch, Katie Phillips and Josh and Cole Markway and to six lovely great-granddaughters. She also is survived by her cousin Stafford Dennison (Susie), sister-in-law Melva Buder, nephews Tom, Daryl and Melvin Buder, and her junior high locker-mate Pat Froh and other long-time friends. The family would like to thank the staff of Buckner Villas, especially the extraordinarily caring team of the Meadows unit, for making her years in Austin so happy. Thanks, too, to the physicians and staff whose care extended and improved her quality of life, including James Marroquin, MD (Josh, Brenda and Janie), Matthew Stahlman, MD, and Christopher Heinzman, MD (Elena). In lieu of flowers, contributions may be made to one of these 501(c)3 organizations: Austin Clubhouse (austinclubhouse.org), St. David’s Episcopal’s Next to New Shop (where she always enjoyed treasure hunting) or the charity of your choice. A memorial service will be held Tuesday, December 4, 2 p.m. at Buckner Villas Building A (Greenridge) 11110 Tom Adams Dr., Austin, TX. Interment will be beside her husband Carl, Valhalla Cemetery, St. Louis at a later date.